Please convey my sincere thanks and appreciation to the McCabe Educational Trust for their message, and for their wonderful support of the Sunshine School over the course of many years. We were especially grateful for the fantastic outdoor play equipment which was still being enjoyed up until last summer despite having a highway built through the playground! We were also using the beautiful soft playroom equipment you donated many years ago until we closed this summer. We have wonderful memories of the various groups you sent to visit us, and remember how uplifting and encouraging they were, and the generous donations you sent always seemed to come just in time to cover a desperate basic need. We would like you to know that the school was bursting at the seams with children, and extremely vibrant right up until the day it closed in June. It continued to feature as a very important service amongst the Palestinian community in Jerusalem and both staff and parents were heartbroken to see it close. In the last few months I have received a huge amount of messages pleading to keep the school open, and many articulated that the closure of the Sunshine School is a big loss for the people of East Jerusalem. I am sure you would also be happy to hear that many families are still in touch with me who encountered the Sunshine School, a lot of whom claim that the experience of being there was highly positive and in some cases life changing. The school had a wonderful 25 years of life, and was a channel of blessing and help for many, especially local Palestinian families. Sad as I am to have had to close this much needed ministry as it has not been possible to find a replacement for myself, I would like to let you know how privileged I feel to have run such a special, joy filled institution for so long, and despite the many struggles I have had to work through, I consider it a great honour. 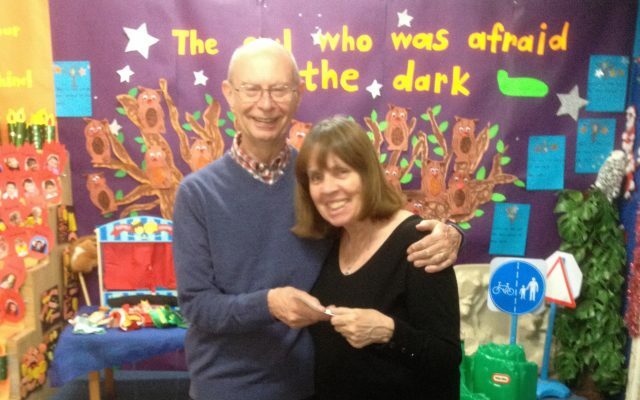 Thank you so very much for the great part you have played in helping the Sunshine School run well for so many years. Thank you for your wonderful practical help, and also for the spiritual enrichment provided by your pilgrims who came and shared my vision to provide good, love filled education amongst the local Arab community where it was, and still is, sadly lacking. With repeated thanks and appreciation, Marion Jadon.